Hello educators! My name is Michael Hicks; I'm an independent game designer that works with Sony and Microsoft. 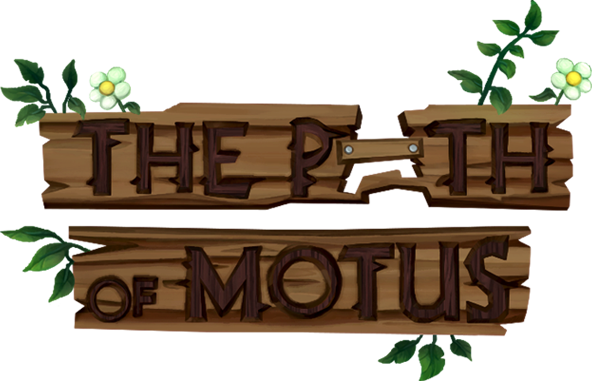 My latest game, The Path of Motus, is a game about bullying where your words have the power to destroy. My game offers a unique learning experience around bullying, and is currently in the process of being rolled out to schools as an educational tool. Please watch the video above to get a better idea of how it works. You can find more information about the game below, including details on how to implement it into your own school! An innovative way to teach about bullying and resilience. Addresses important topics such as the difference between mean and being a bully, what makes someone bully, and productive ways to respond to it. Includes a Teacher's Walkthrough to help guide your class in these discussions. You'll also be provided with informational packets about bullying you can send home with students. Helps students develop empathy and reflect on their own actions. Most students start playing aggressively and destroy everyone in their path, but as the game progresses they completely change their playstyle and begin having empathy for the bullies as they discover what makes them behave this way. A relatable story about the struggles of pursuing your dreams. Will students give up on their dreams, or will they persevere and learn from their failures? Who can play this game? What age group is it geared towards? I've tested this game with many age groups, and can safely recommend it to anyone 8 years or older. Younger ages can also play, but they'll probably need teacher guidance. In the game, Motus gradually grows from a child to an adult; each chapter of life explores different themes related to that age group. Because of this, I expect all ages of people to take something away while playing. Motus was designed to appeal to many ages, it was not designed as a "kid's game", or a game only for adults. How exactly can I use this in my class? There are some challenging puzzles in this game, so you may want to keep that in mind when you decide your approach. The Teacher's Walkthrough contains all of the puzzle solutions, and methods for helping students problem solve the puzzles. Does this game contain offensive or mature content? The Path of Motus is rated "Everyone 10+" by the Entertainment Software Rating Board (ESRB), who rates all video games in North America. The game contains fantasy violence (you can destroy people with words). Additionally, there are some scary parts in the game when Motus travels through an evil forest. What makes you a trustworthy source on the topic of bullying? In High School, I was interested in what made bullies act so aggressive towards others. As time went on I began to befriend some of them, and learned that they either had been bullied themselves earlier in life, had really bad family lives or were just simply jealous of other people. These were the life experiences I kept in mind while designing the game, and I believe it comes through in the final product: playing as Motus requires you to have resilience, and lets players explore the deeper reasons for why people resort to aggression. Additionally, I've partnered with The Cybersmile Foundation, a leading non-profit that works with schools to help implement anti-bullying measures and distribute educational material about the topic. Cybersmile believes the game can be used as an effective educational tool and offers a unique form of healing to victims of bullying. What type of computer do I need to play the game? Any Windows PC that's running Windows XP or above. If you're not a technical person, there's a step by step guide included that shows you how to install the game and ensure it's running the best it can. Where can I buy the game? How much does it cost? Educational versions of the game should be purchased using the box below. Educational versions are sold for $50 per computer, with a 10% discount for bulk orders over 20 computers. "Per computer" means that unlimited amount of people can play the game at one machine, and no yearly renewals are required. The Teacher's Walkthrough guide is included with this purchase, along with informational packets about bullying you can send home with students. Please use the buttons below to select how many computers you'll install the game on. You'll then be redirected to a storefront where you can purchase the game. If you need to order for over 30 computers, please email me by clicking the "Contact" link on the top navigation bar.